But onto the actual product. 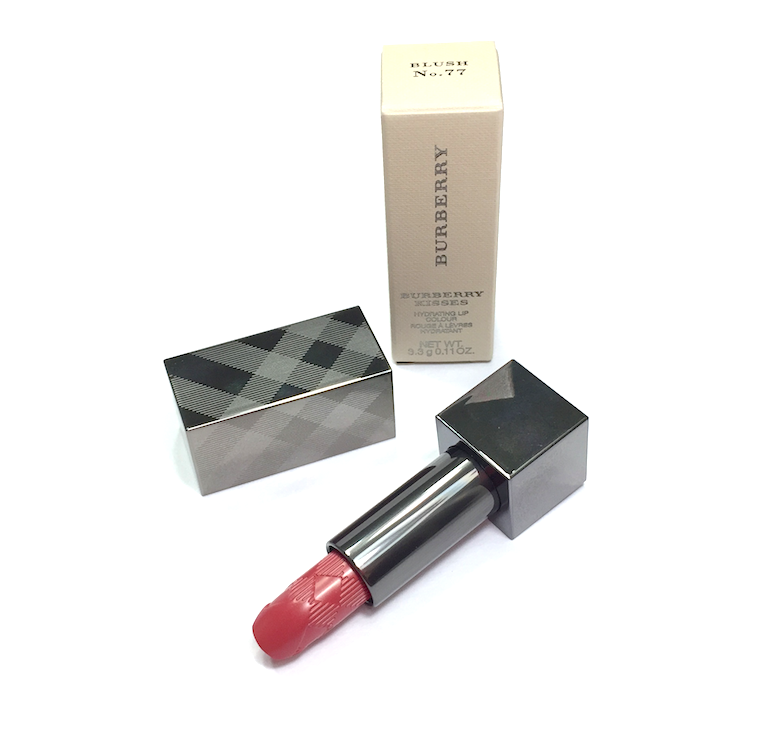 The Burberry Kisses Hydrating Lip Colour (36$ CAD) claims to feature a weightless gel texture, with a buildable formula and 6 hours of wear and hydration. I think it hits most of those marks square on. There's some fancy ingredient chatter in the copy as well, regarding "shiny polymers" and "tea, lavender, and rosehip", which all sounds very nice, but won't mean much if they don't nail the actual performance piece of the formulation. In terms of the weightless and buildable claim, Burberry aces it. The gel formula delivers on an extremely lightweight feeling on the lips, and the lipstick just glides without getting stuck in lip wrinkles. It doesn't have the smoothing or plumping qualities of its more buttery brethren, but it sits so light and seamless on the lips that it truly feels like you're wearing nothing at all. 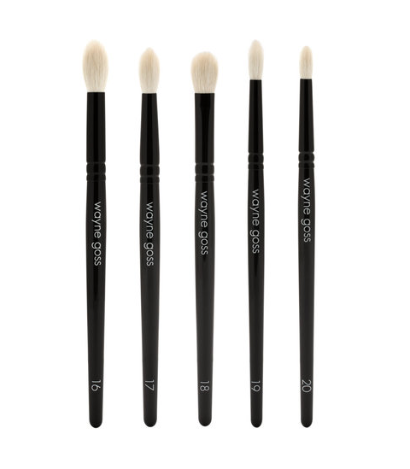 With one swipe, the pigment is even but slightly translucent, and deeper on the second swipe. 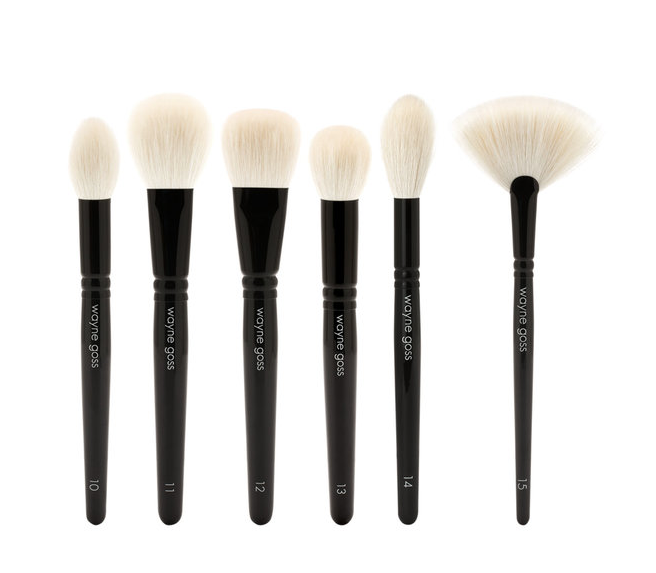 It doesn't have the full-on opacity of a rich matte, but it's definitely buildable coverage. The finish is a soft satin shine that looks natural and pretty, without being overly glossy or goopy. Hydration claims for lipsticks tend to be a bit overwrought, and I would say it's no different here. I don't get balm-level hydration, that's for sure, but this is a comfortable lipstick to wear. I can't test the 6-hour claim adequately, since I'm not likely to pass up eating for that long, but I didn't notice any significant fading or weird wearing away from application to my next meal. It just kind of settles on the lips and hangs out, doing its thing, until you realize a few hours later that your lipstick still look nice, if less shiny. I don't know if this is a truly unique formula, but to be honest I don't think I've come across anything with this kind of gel texture that wears this well. If you're looking for something easy to wear for the summer (and the buttery-type lipsticks feel too heavy or goopy) but that still looks polished, this may be worth checking out. And the packing is, as always, Burberry perfection. Elegant and weighty, with those little details (Burberry checks, magnetic closure) that make the price tag a little less outrageous. 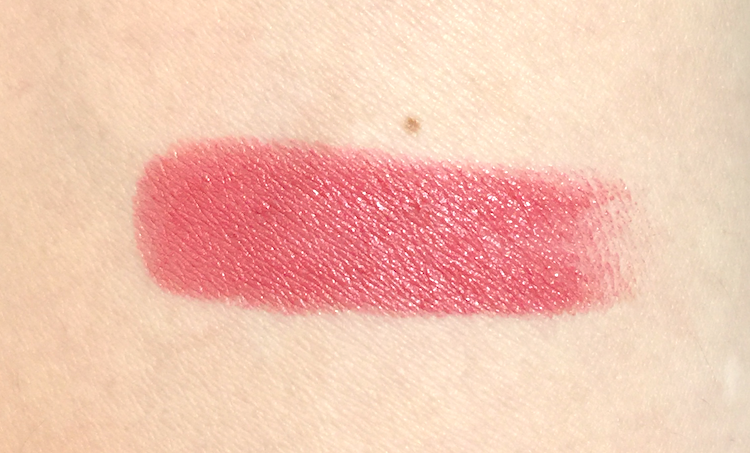 I was able to try the shade #77 Blush, which is a perfectly polished, office-appropriate, but still totally pretty, rose. 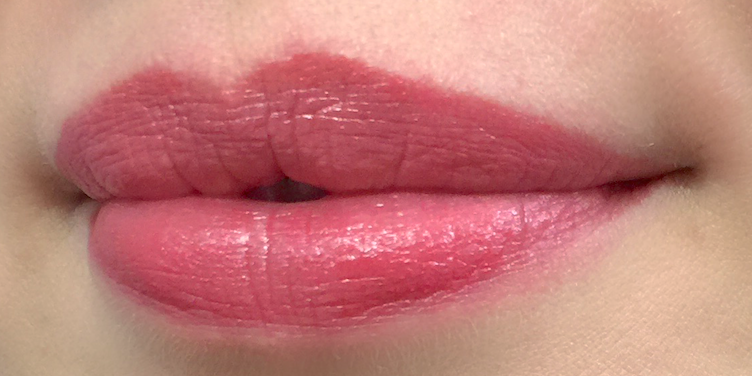 For a better look at how this lipstick looks IRL, I'm wearing it in the Ardency Inn review post. So are you guys excited about Burberry finally being available at Hudson's Bay? I am, but I'm even more hopeful that this means HB is FINALLY going to step up their beauty department and online shopping experience to be competitive with Nordstrom and Saks. So happy that Hudson's bay is now selling burberry makeup, I never order online from their website so I have no clue if they are offering good services but I think 99$ for free shipping is a little high for my taste. now they just need to have a beauty department at their downtown Montreal location for me to be a happy camper. 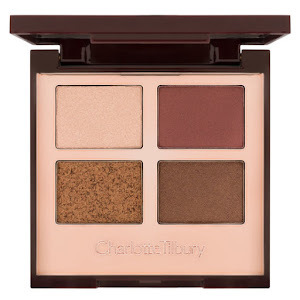 PS the strangest thing is they always sell burberry makeup at the Clarins warehouse sales (that where I purchase all my burberry makeup) I really like to buy my makeup at really good discount price but how come it is the only place Burberry is available in the Montreal area??? I've had such spotty customer service from Hudson's Bay that I generally try to avoid shopping there when I can, but the website is particularly badly designed - the mobile version constantly craps out, it randomly refuses to put certain promo codes through when you enter in a HBC credit card, and dealing with their phone customer service is a nightmare. That said, I'll take my Burberry where I can get it, lol! I've picked up most of my Burberry collection at the Clarins warehouse sale too! It's awesome. Claris group is the distributor for Burberry makeup and perfume in Canada, so I assume that's why they have the runoff product at the warehouse sale, since their offices and distribution are based in Montreal. Hi! Thank you for your comment, I love to hear back from you guys. =) I try to respond back to every comment within a few days.